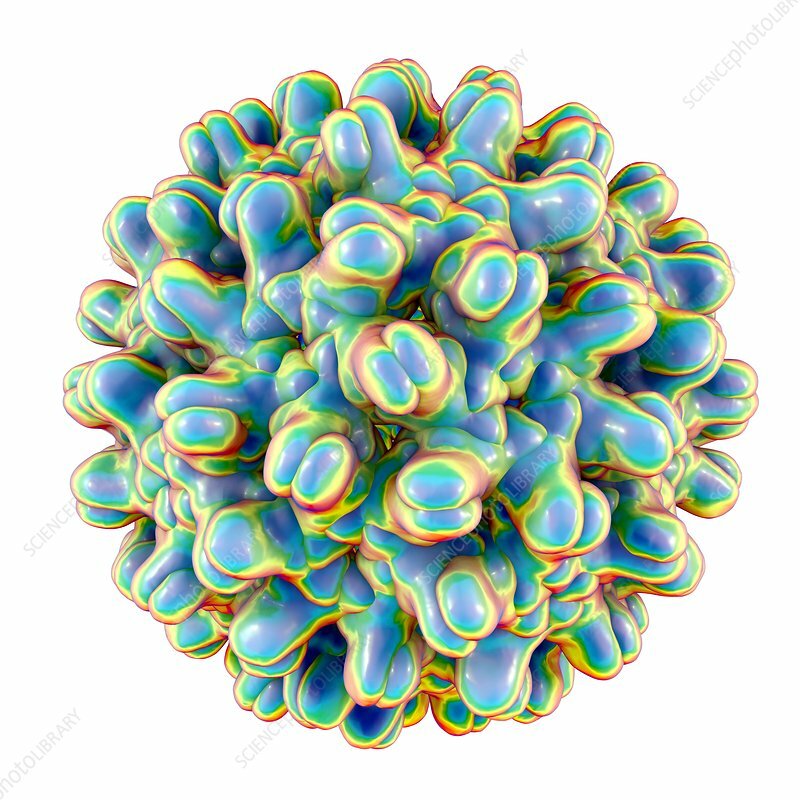 Hepatitis B virus particle. Computer illustration of the capsid of the hepatitis B virus (HBV), with proteins represented by coloured blobs. The capsid is a protein coat that encloses the virus's DNA (deoxyribonucleic acid) genome. HBV causes hepatitis B, a disease characterised by inflammation of the liver, which can lead to liver cirrhosis, cancer and death.